Imagine watching the debut trailer for Borderlands 3 without sitting through Gearbox's padded panel or Randy Pitchford's magic tricks first. Given the number of teasers over the past few weeks, it should surprise nobody by now: Gearbox is making a new Borderlands game. Today we finally got confirmation of that fact, courtesy of a long and incredibly tedious presentation fraught with pacing and technical issues—and a Randy Pitchford magic trick. But hey, you didn’t need to sit through that because I did it for you. Okay, the big changes: Tiny Tina’s an adult now. 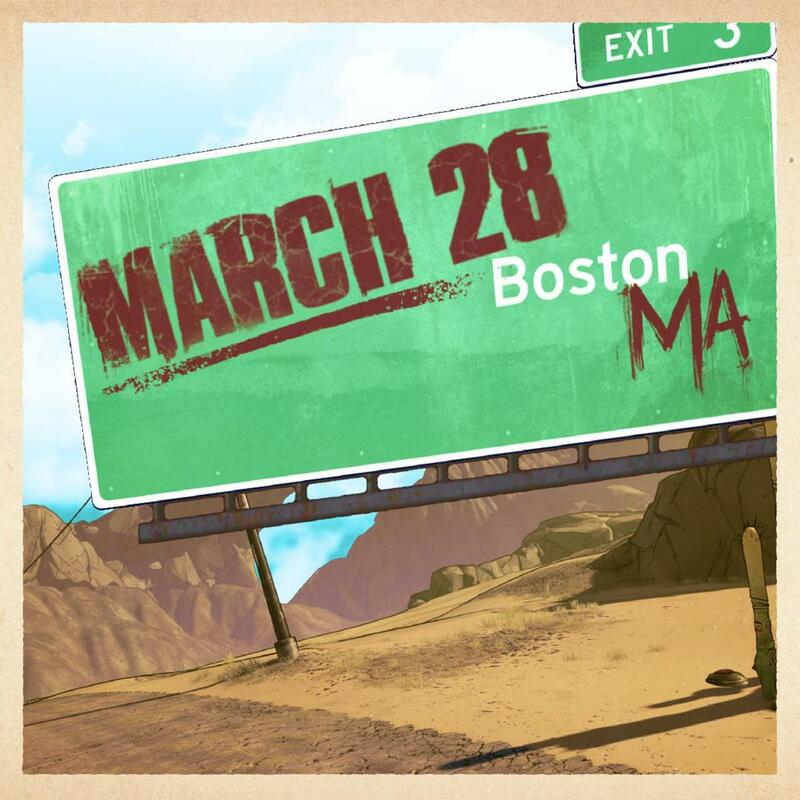 Characters we met in Telltale’s Tales from the Borderlands will make an appearance here, which is a nice surprise. And the environments look a lot more varied this time around. There’s the usual post-apocalyptic desert of Pandora, of course, but we also saw glimpses of a verdant jungle and a neon-lit city, the latter of which feels very different for a Borderlands game. No release date yet, nor even a release window, but the description under the trailer does say “Visit Borderlands.com on April 3 for more info,” so do that, I guess. Or just wait until E3, where I’m sure this will show up at Microsoft’s press conference. April 3 is also the date that new 4K textures will hit Borderlands: The Handsome Collection on consoles, and presumably hit the various Borderlands games on Steam as well. There’s also a remaster of the original Borderlands in the works—a first, on the console side, but probably not as big a deal for the PC. New textures might be nice, though. Anyway, those announcements capped off a looooong panel. Gearbox stretched for time by trotting out its publishing deals, many of which we don’t care about—Bulletstorm for Switch, a We Happy Few DLC. But Gearbox did debut a new Pathologic 2 trailer, which was incredibly cool and daring of them. I can’t imagine the overlap between Pathologic fans and Borderlands fans is very large, so giving this weird Russian RPG a main-stage presence during a Borderlands 3 reveal? Good on Gearbox. Pathologic 2 is due to release May 23. Gearbox is also publishing the next title from Squanch Games, a.k.a. the Rick and Morty game studio. Justin Roiland certainly has an identifiable aesthetic and style of humor, and that was very much on display in the trailer for Trover Saves the Universe, which is coming to both VR and traditional flat-screen PCs on May 31. And then Risk of Rain 2 debuted a new trailer—but that wasn’t the big news. No, the big news was that Risk of Rain 2 hit Steam Early Access today. The launch took place slightly before the panel, so some people had already spotted it and dampened the surprise. But hey, the important part is it’s there. That about wraps it up. I’m not going to bother recounting Randy Pitchford’s magic trick because I’ve already suffered enough, but suffice it to say it didn’t (mercifully) involve a Medieval Times or a USB stick this time. Keep an eye out for more details on Borderlands 3 in the near future.